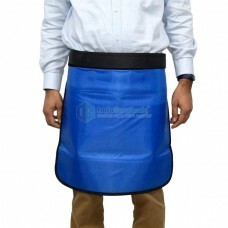 A lead apron is a type of protective clothing that acts as a radiation shield. 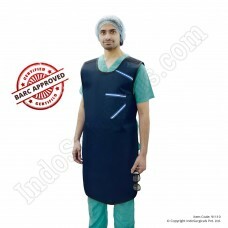 Our x-ray lead aprons is designed to provide efficacious shield against radiation during x-ray process for patients, technicians, doctors, and surgeons. 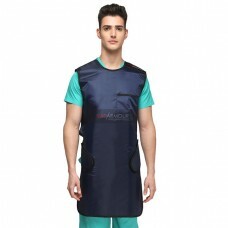 The purpose of the lead apron is to reduce exposure of a hospital patient to x-rays to vital organs that are potentially exposed to ionizing radiation during medical imaging that uses x-rays (radiography, fluoroscopy, computed tomography). It provides maximum comfort, very less fatigue and freedom of movement. 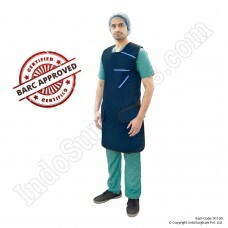 These lead aprons are certified by Bhabha Atomic Research Centre (BARC). 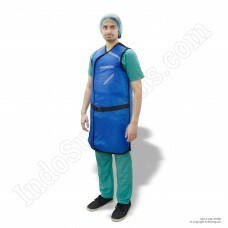 Buy Lead Apron for doctors, technicians and patientsIt is designed to provide efficacious shield aga.. 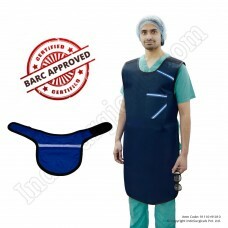 Product Specification:BARC approved lead apron with thyroid collar for doctors, technicians and pati.. It is designed to provide efficacious shield against radiation during X-.. 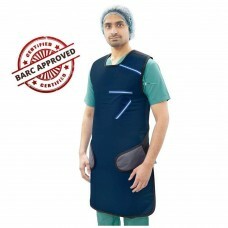 ACCEPTABLE LEVEL OF SAFETY: RADARMOUR offers a highly acceptable level of protection, with a lead-eq..
Lead Apron is specially designed for complete protection It g..
Lead Apron is specially designed for complete protection It gives ..
Half Lead ApronFront Lead Equivalence : 0.5mmSize Approx. : 55 x 45cm with adjustable strap with buc..